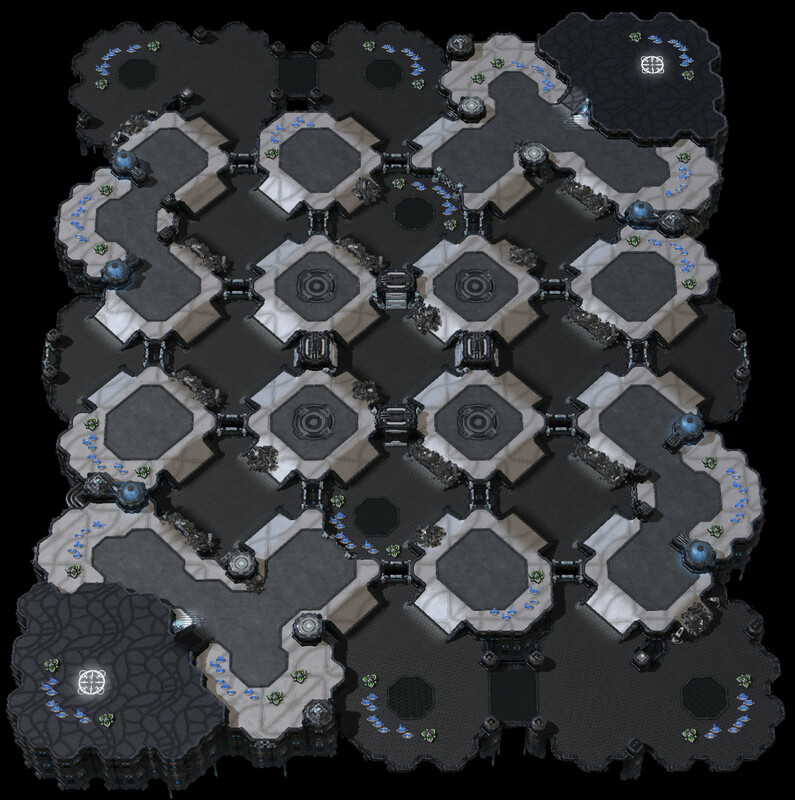 This medium-sized macro map features a grid of alternating high ground pods, inspired by the BW proleague map "Geometry", encouraging players to use them to establish defensive positions. 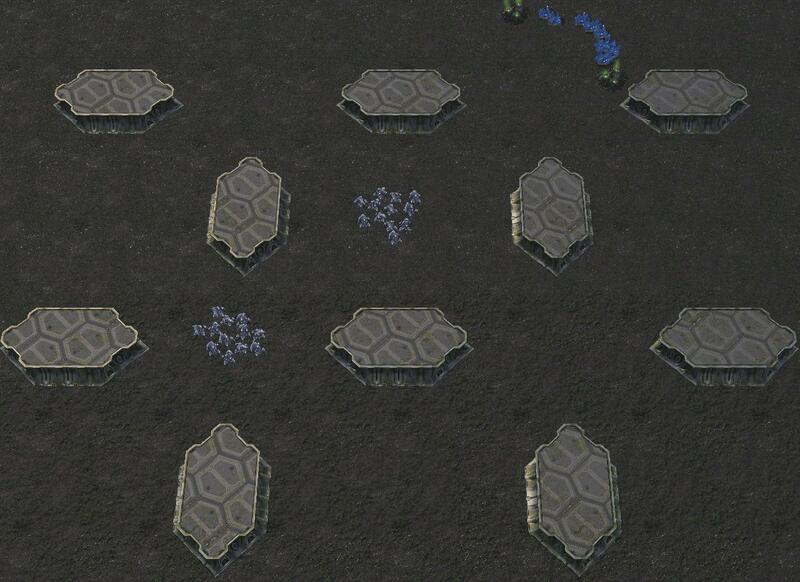 Destructible rocks initially block several paths and make certain bases easier to take. 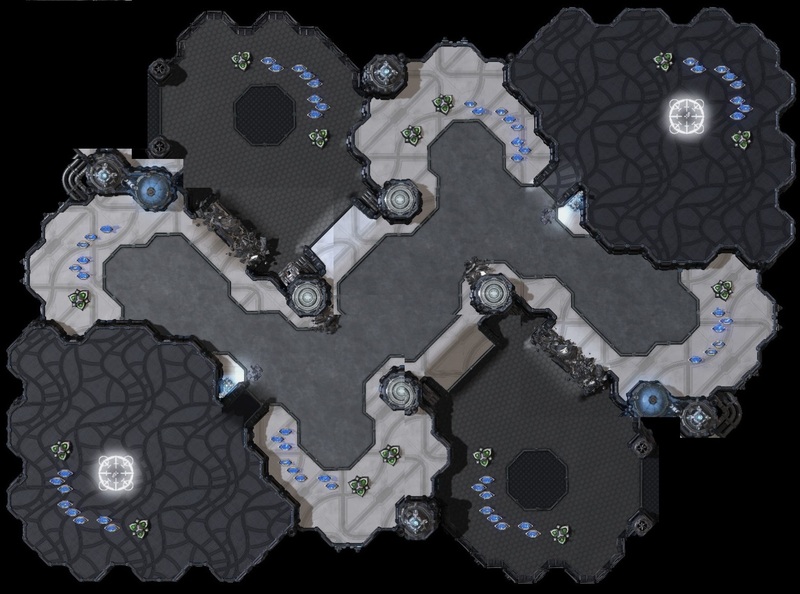 But once the rocks are down, despite the map's constricting appearance, it becomes quite open - since the pods are so close together, it's easy to move between adjacent pods to flank from a side ramp, and numerous possible routes are available to traverse the map. The map offers 2 choices of 3rd base: a standard, fairly vulnerable base on the low ground, and a protected base located behind the natural wall, but with a reduced resource count of only 6 mineral nodes and 1 geyser. Great name, and gorgeous design. I'll let more experienced players speak to the game play aspect... but aesthetically, nice work! looks like a fantastic map for carriers. 4 high ground bases should make defending pretty easy. I like your work and you made plenty of very good maps, I know you're a good map maker. So I'll allow me to be totally frank : I'm really puzzled to see how map makers refuse to acknowledge the fact that there are liberators and buffed tanks in the game and that maps should allow concaves and flanks to allow the defend against slow pushes. The high ground + surrounding areas near the 1 and 7'o'clock seems really grim to me when I think PvT. Also, appartently "positioning and clever manoeuvring" is just about run-byes and the impossibility to move your whole army to the centre of the map without being back-stabbed. 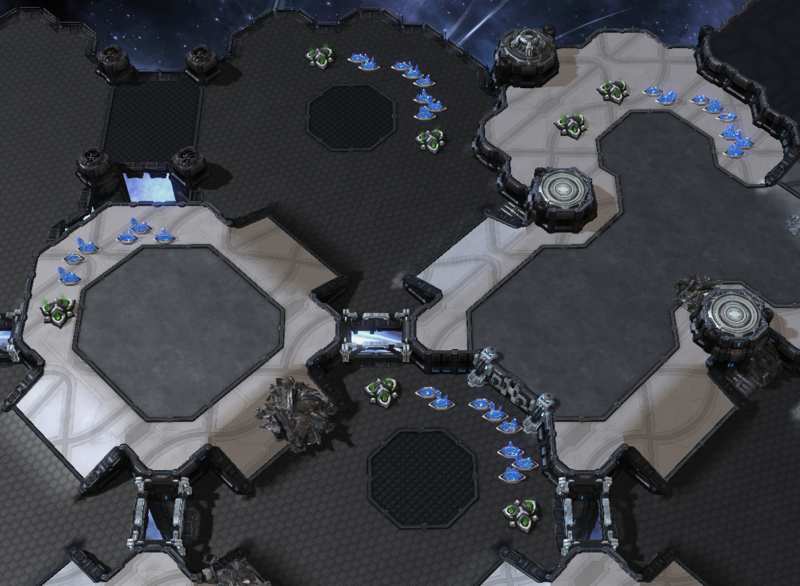 I honestly think this would be fine if there was only zergs and terrans in the game, but it limits the protoss option drastically because of the low moving seeped of their armies. 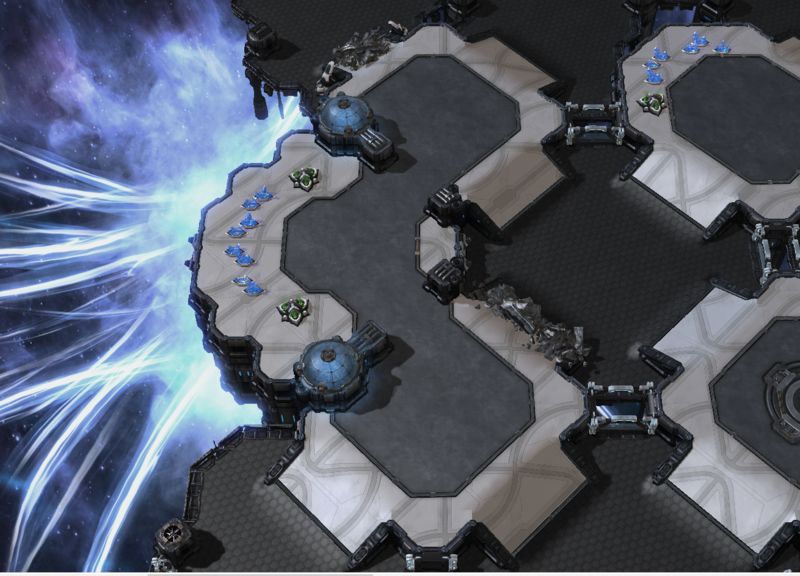 I know many map makers see the centre of maps as just a big chaortic hub toward the opponent's bases, but it's sad to see people have given up on making the centre of the map controllable and strategically interesting like on King Sejong Station for example. also 16 destructible rocks! is it an attempt to force Dustin Browder memes? Voila, your map is nice but it could be way more balanced and interesting to play with a few adjustments, like reworking the 1 and 7 o'clock surroundings, and opening up the center to ease the movement slow armies and allow flanks and concaves to make army control a true factor in the outcome of battles. which 1/7 areas? the double opposite facing ramps outside the nat? 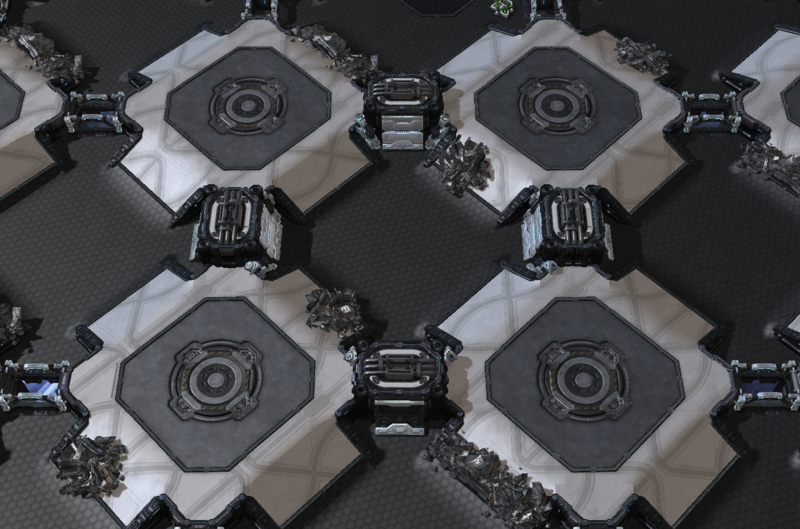 do you think that area should be more open, maybe with an additional ramp leading towards the center instead of the base that's currently there? still got 16 hrs before tlmc deadline so i can potentially make some changes. as for the center, the ramp/high ground pod setup is intentionally visually misleading, but the whole thing is actually very open if you think about it. the amount of unpathable space between high ground pods is pretty small, so it's easy to go between pods to flank from the adjacent ramp. to help visualize it better, this image shows the exact same grid layout as the map, with the same spacing, but flattened to a single terrain level. (remember, high ground is meaningless once you have air vision.) plenty of flanking opportunity, you just have to go around one of the obstacles. in fact, a couple other mapmakers i talked to said it was too open, which is why i added the rocks to break up the pathing a little bit to begin with. 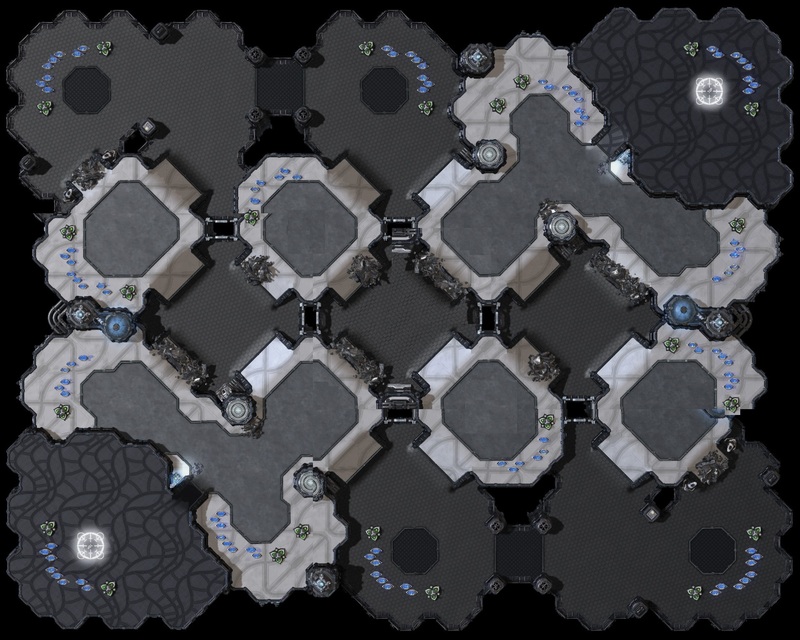 Still my favourite TLMC8 Map, i just love it. It's funny, because we were discussing this map in its infancy and it had little to no rocks and it was pretty obviously Z favored. Now some rocks were added to balance things and people think it's bad for Z . I still think it is a fairly open map when you look at how wide each square is and how all the ramps are big. Like even with the rocks this is a more open map than many maps we've had. I find this map to be horrendous. Chokes everywhere, far too long distance to make any kind of early timing attack worthwhile. Poorly designed in my opinion. sorry. My 2 cents. 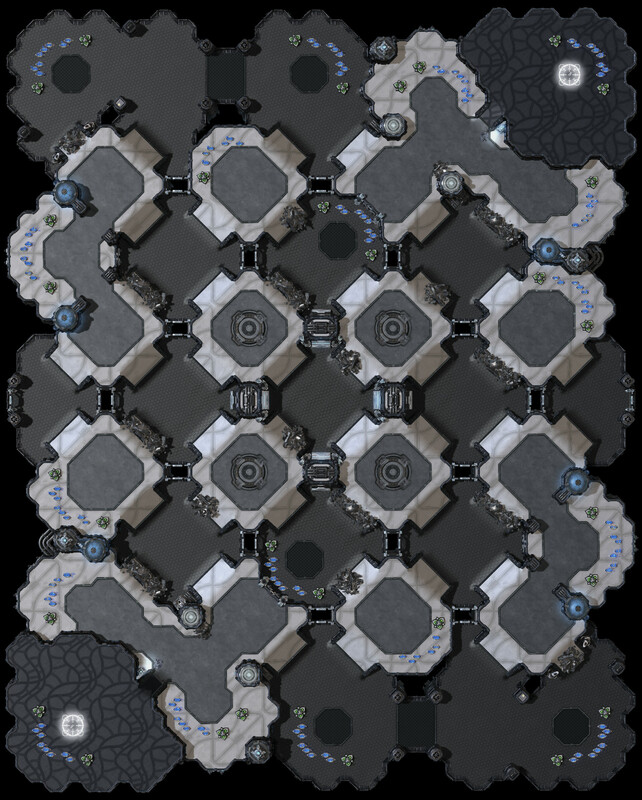 maybe the worst map in the current pool. with a few modifications (make the map half the size for starters) it would be an excellent map. I can't figure out if your opinion is worth more or less than 2 cents tbh. My sequencer games are some of my favorites, thanks for doing something different ! Seems like a reasonable change Sequencer really needed. However, I think the rush distances are still far too long. 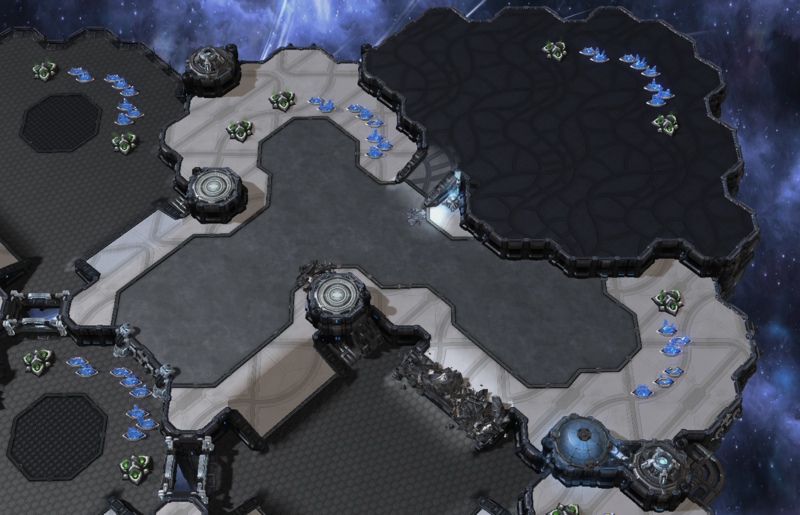 If you want to make timing attacks worthwile, you should probably move one of the spawn locations to the natural of the other main or at least reduce the map size by another 50% or so. A good start at least. Na jakar me'nah. | My sOs, My sOs why have you forsaken me? It does look like there's space to collapse it horizontally.